The eight sections of your Life Cycle show how in balance your life is. So before you begin take a moment to relax, take a few deep breaths and answer this question as honestly as you can. This is not about what other people think of you. It is about how you truly feel about this aspect of your life. 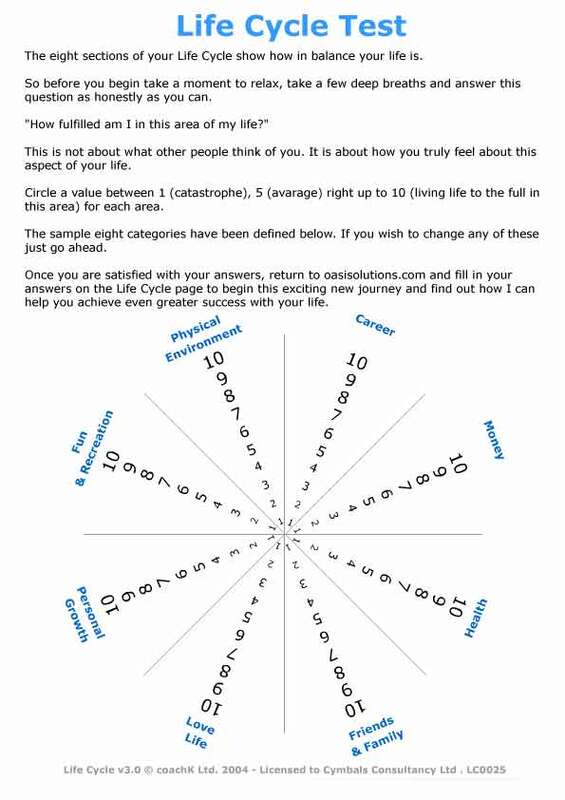 Put a value between 1 (catastrophe), 5 (avarage) right up to 10 (living life to the full in this area) for each area. Once you are satisfied with your answers, click on the submit button to begin this exciting new journey and find out how I can help you achieve even greater success with your life.